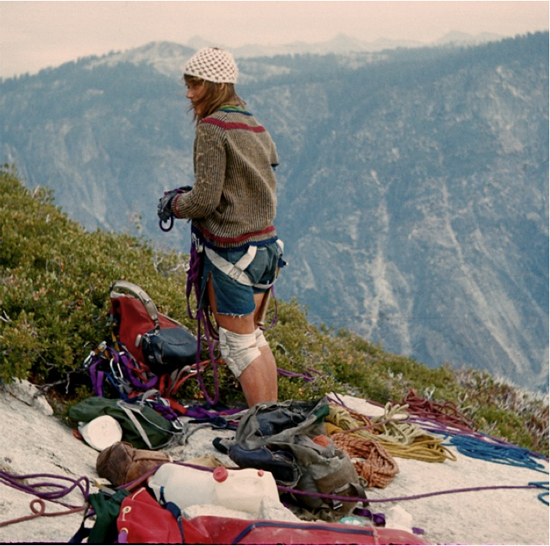 Regarded by most as one of America’s greatest climbers, in 1978 Beverly Johnson was the first woman to ever climb the Dihedreal wall of El Cap in Yosemite, and did it alone in 10 days. 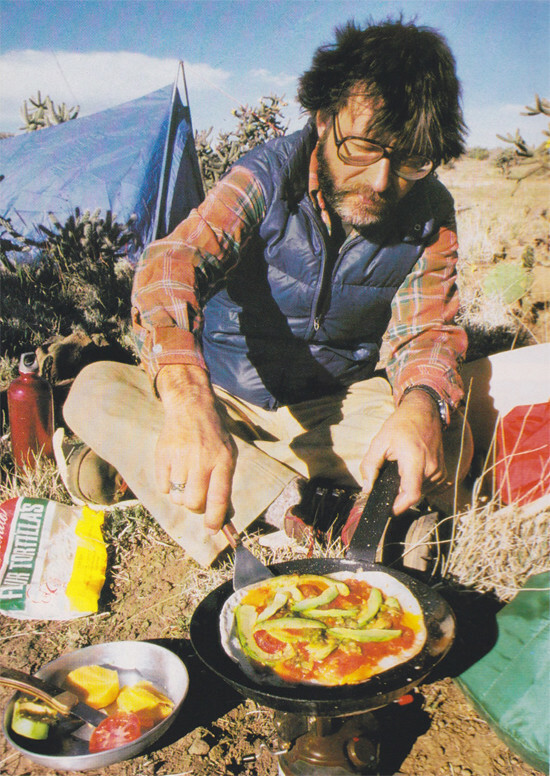 Born in 1947, Johnson was putting up first ascents all across the country before many of us were even born. Read a great summary and check some other great photos of Johnson’s career over at rockriprollgirl.com then pick up the book about her life, The View from the Edge. Have a good weekend y’all. It’s springtime. Who’s putting some new laces in the boots and getting outside? Help these gals out and shoot ‘em some funds over at their Kickstarter page, and watch the trailer a few times. Excited for this. I was recently gifted a subscription to this fine magazine for my birthday. 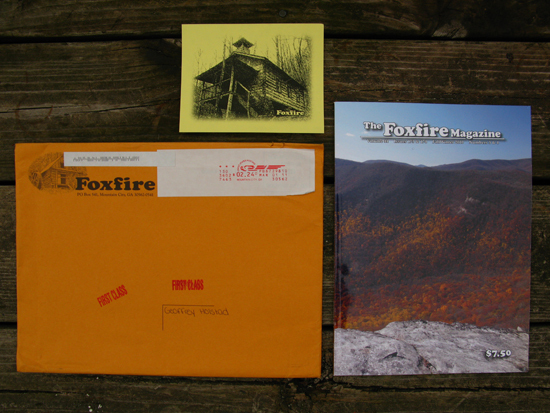 A couple months back, I happened upon a nice collection of Foxfire books on the cheap on ebay, which I’m sure you’re all familiar with, but Foxfire started as a magazine. In 1966, a high-school English teacher in Southern Appalachia named Eliot Wigginton resolved with his students to document and preserve the wisdom of their grandparents and local elders (initially, as a way to get them excited about English) by creating a magazine. Stuffed full of folk traditions, recipes, and some of the nicest looking covers around (especially the old ones), this magazine is released twice a year in two, double issues. I also loved that my address on the envelope with my first issue was hand-written in a high schooler’s hand, with a hand-written ‘thank you’ for the subscription. Some of the old issues of the magazine pop up on ebay every now and then, and go for less than $10. Feel good. Nanook of the North (also known as Nanook of the North: A Story Of Life and Love In the Actual Arctic) is a 1922 silent documentary film by Robert J. Flaherty. In the tradition of what would later be called salvage ethnography, Flaherty captured the struggles of the Inuk Nanook and his family in the Canadian arctic. The film is considered the first feature-length documentary, though Flaherty has been criticized for staging several sequences and thereby distorting the reality of his subjects’ lives. In 1989, this film was one of the first 25 films to be selected for preservation in the United States National Film Registry by the Library of Congress as being “culturally, historically, or aesthetically significant”. Was a busy week around these parts. Enjoy the sunshine and the days off. See you soon. When you’re out this spring gettin’ your land legs back, keep an eye out for the Ramp, or Wild Leek (Allium trioccum). These small wild onions have a strong garlicky odor and flavor. You can munch ‘em raw, sauteé them, add ‘em to a pesto, or make a ramp and wild morel quiche. This stinky veggie is getting some serious street cred at many restaurants these days (in the near shadows of the Morel mushroom). 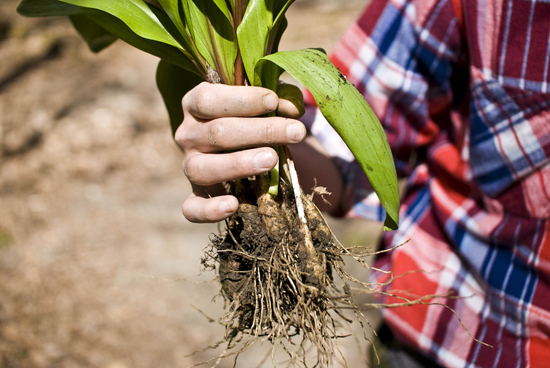 Ramps grow best on hillsides, in sandy, moist soil. Try checking close to the banks of small streams or rivers. The leaf of the ramp is broad, tender and bright green in color, fading to purple near the stalk. Before pulling up and chowing down you can verify it as a wild leek by tearing a leaf in half. You’ll know it’s a ramp by the smell. Holy onions. See ya at the Cosby, TN Ramp Festival? I finally made time to fly out to NYC a couple weeks ago to see the sights, eat some great food, stay at the Ace, and meet up with Jeff (the founder of this fine blog). 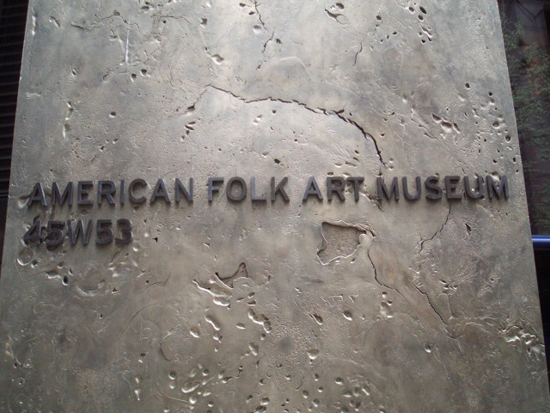 At the top of my to do list was checking out the American Folk Art Museum and man did it deliver. I’ve wanted to see this place for a long, long time. The AFAM has a small permanent Henry Darger collection, which if you haven’t heard of/seen Darger’s work, please do. A documentary about his life and his made up world titled “In the Realms of the Unreal” came out in 2004. Long story short, this place was a dream come true for me. If you ever find yourself in the big city, go. 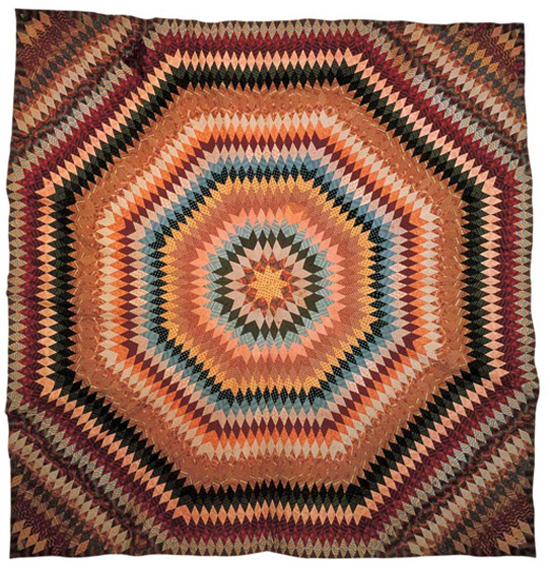 You can also check out an image library of the museums collection online here.